Today I read of the faith of Abraham. Abraham mourned and wept for Sarah who died at 127 years old, he went to buy a piece of land so he could give her a proper burial. The owner offered to give it to him free. But he said, “No, listen to me. I will buy it from you. Let me pay the full price for the field so I can bury my dead there.” So Abraham bought the plot of land for use as a permanent burial place. Abraham was now a very old man and You have blessed him in every way. Then he sent his oldest servant to go to his homeland to find a wife for his only son (of promise). Father, I pray You open my eyes to see why this episode about Abraham’s last lap of his faith journey was revealed today? Please give me spiritual wisdom and insight so that I may grow in my knowledge of You. I pray that my heart and those of my loved ones (including my brethren in the house church and all who have been led by the Holy Spirit to read this prayer) be flooded with light so that we can understand the confident hope You have given to those You called –Your holy people who are Your rich and glorious inheritance, and the rich and glorious inheritance You have given to Your holy people. 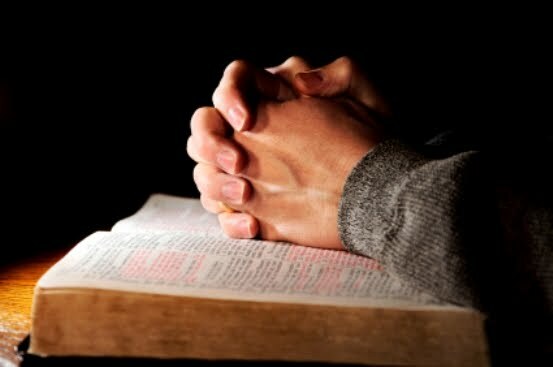 As there are so many hurting and suffering people in this world, Lord, I also pray that we (Your children, the sons and daughters of God) will understand the incredible greatness of Your power for us who believe You, the same mighty power that raised Christ from the dead and seated Him in the place of power and honor at Your right hand in the heavenly realms. Your Son, Christ Jesus, has now all authority in heaven and on earth, including all realms (physical and spiritual). He is now far above any ruler or authority or power or leader or anything else –not only in this world but also in the world to come. He has commissioned us to go and make disciples of all nations and teach them to obey all the commands that He has given us. But Lord, look at us, we are not manifesting His authority and power! The thief has come in to steal, kill, and destroy. Your people are still being imprisoned, oppressed, and destroyed physically, mentally, emotionally and spiritually. We are not exercising the authority and power Your Son has promised and indeed given to His disciples. Lord, once we were dead because of our disobedience and many sins. By Your grace we have been saved. You have raised us from the dead along with Christ and seated us with Him in the heavenly realms because we are united with Christ Jesus, as vine branches united with the vine. Yes, Lord, we believe! The Son of God came to destroy the works of the devil. Jesus has sent His disciples to go and announce that the Kingdom of Heaven is near, heal the sick, raise the dead, cure those with leprosy, and cast out demons. Jesus declared clearly that He is the Healer. Power came out from Him. He healed all. The disciples did likewise as Jesus had commanded. Power came out from them and they healed just as Jesus did. As they went everywhere and preached the Good News, Your Spirit worked through them, confirming what they said by many miraculous signs. Lord, speak through us. Grant us favor from heaven as You have granted Abraham, who walked by faith, believing in the unseen, and not by sight. Open our eyes to see the spiritual heavenly realms just as Abraham had seen. He was walking so close with You that You even called him friend. He was strong in your mighty power. He could see into the spiritual realms. How else can we explain the unquestioning faith and obedience to let go of his self, and unrelenting pursuit to be separate from the rest of the world and its way (devilish wiles), even paying high costs? Yes, Father, we want to imitate You, in everything we do, because we are Your dear children. We want to live a life filled with love, following the example of Christ. We want to live by the power of the Holy Spirit. We want to be strong in You and in Your mighty power, so that we may be able to stand firm against the strategies of the devil. Help us to put on every piece of Your armor and stand our ground. O, Spirit of Christ, help us in this hour of our weakness. For we do not know what to pray as we ought. Intercede for us with groaning too deep for words. Help us to set our minds, like Abraham did, on the things of the Spirit, walking according to the Spirit, receiving Your life and peace. Father, we thank you for You have poured Your love into our hearts through the Holy Spirit who has been given to us. You called Abraham friend. Jesus had called His disciples friends. And now, we are called Your children. You have given us the Holy Spirit who bears witness with our spirits that we are Your children. By Your Spirit, we are led as Your children. And we now cry, “Abba, Father!” Thank You, Abba Father, for hearing my prayer.